Poor Attendance One of the most basic factors which affect the school’s effectiveness or more precisely a teacher’s effectiveness is the shortage of attendance. The right effort of a teacher is not seen unless every student is present in the class. Even if the student can make up for the work at home, but taking leave from the school can affect his development as well as his teacher’s effectiveness. Student Discipline In a school, every teacher and the staff members have to deal with the discipline issues in different ways. Such issues are assumed to distract the class and make the students miss their valuable time. Misdemeanor of the students makes them lose their learning time which may indeed lead to suspension. However, such discipline issues are to be seen stripping down the schoolâ&#x20AC;&#x2122;s effectiveness, even though no matter how strict the schoolâ&#x20AC;&#x2122;s policies are. Lack of Respect Earlier, people respected teachers in terms of their knowledge and their profession. But, now it has lost its importance as people are taking it casually. Not only the students but also their parents take education as well as the teacherâ&#x20AC;&#x2122;s words very lightly. And later on, they blame the school authorities for their childâ&#x20AC;&#x2122;s rude behavior or misconducts. If there is a lack of respect in a school for the teachers by the students, then the effectiveness of the class will automatically reach to its lowest level. Bad Teachers It is not always the students who limit the schoolâ&#x20AC;&#x2122;s effectiveness but sometimes, unproductive teachers also affect the effectiveness of the school. A teacher plays a very important role in molding a student career and preparing him for his independent life. But if the teacher is incompetent, even a potential childâ&#x20AC;&#x2122;s morale will be lost and he will not gain anything from the school. Thus, it is the administrationâ&#x20AC;&#x2122;s duty to hire competent teachers who can handle the students, who are knowledgeable and know how to motivate and mold the students. So, these were the factors that affect the school effectiveness. We at MIT Vishwashanti Gurukul make sure that all these factors are eradicated. We select the faculty members after several rounds of selection process. We select only those teachers who are experienced and have knowledge about the IB curriculum. Being an IB school, we follow a value based education system in school. Our teachers use advanced learning tools to engage the students which makes sure that they take interest in class and absenteeism is avoided. In our school, we inculcate Indian ethos and values where the students learn to respect their gurus. In fact, guru-shishya parampara is the real essence of our school. All these factors make MIT Vishwashanti Gurukul the best international school in Maharashtra. 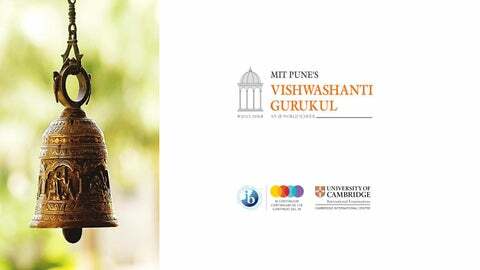 Conclusion MIT Vishwashanti Gurukul is the fragment of MIT Group of Institutions. It is one of the Best Boarding School in Pune. It provides the world class amenities. 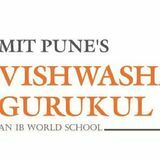 MIT Vishwashanti Gurukul is one of the best IB World Schools in Pune.